Usually when I feature a "sweet space," it involves the work of a designer in a residential setting. However, today I want to show you a commercial spot... a restaurant... that we stumbled upon during our trip to Napa in September. 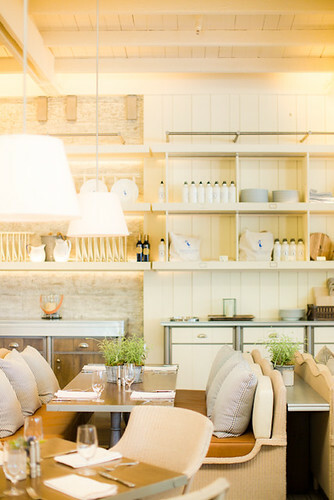 We stopped to have breakfast at French Blue in St. Helena, and were immediately enamored with its design appeal. 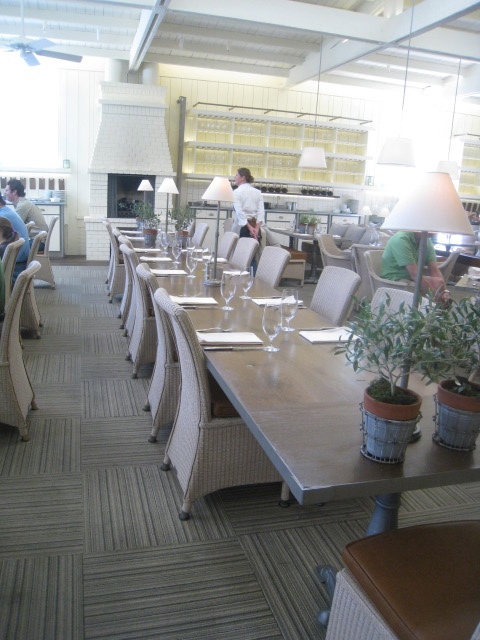 I think you'll appreciate how the restaurant feels as if it could be someone's home in the Hamptons. It inspired me to think about how many of the design elements could be used in my home. Perhaps you'll feel the same way. The trusses and open ceiling give the space an airy feeling. 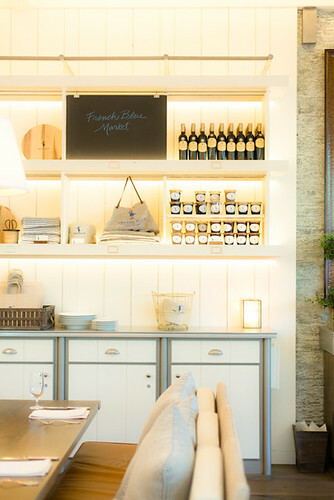 Open shelves display French Bleu merchandise. We took home salt and pepper shakers. Believe me, if I could have fit a settee and table in my suitcase, they would have come home too. How cool is this bar tower? The open kitchen features a lower marble counter at the front, flanked by taller counters with zinc countertops. 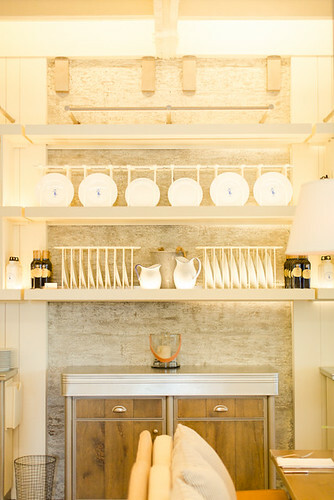 The wood-planked walls are painted Benjamin Moore's Mayonnaise. I loved the color so much, I came home and painted my family room walls in it. I love the blue ticking pillows. After oohing and aahing over the decor, I asked the hostess who the designer was. 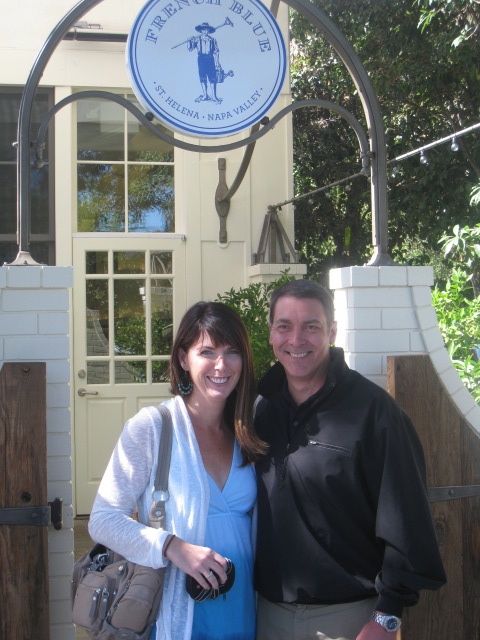 Turns out it is the work of renowned architect, Howard Backen, and his wife, designer Lori Backen, who are partners in the restaurant. the food is pretty darn good, too! So happy we discovered this "sweet space!" oh wow! this looks like a place I would be crazy to linger! wow,wonderful and colorful place...feel like cheers..